NEW PRICE!!! BEAUTIFUL all brick home close to the clubhouse and pool, ready for new owners! 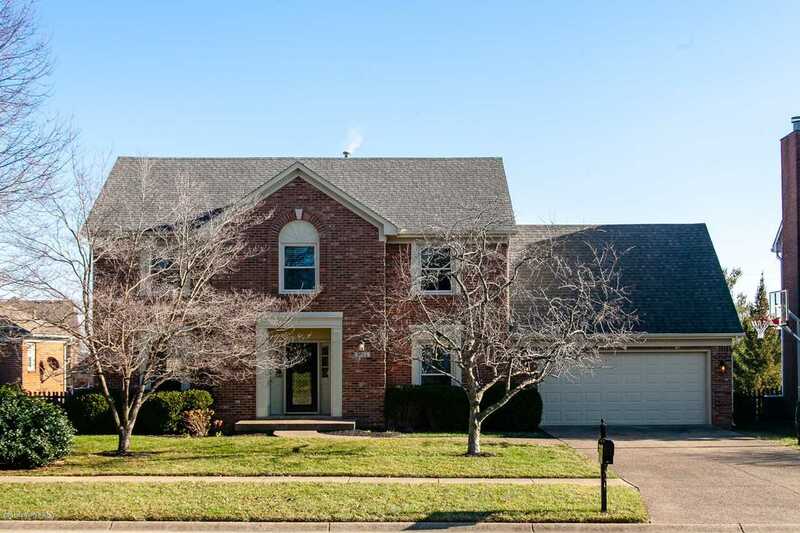 This home boasts a spacious Great Room showcased by crown molding and a beautiful brick fireplace with rounded hearth. Formal Dining Room accented with a trey ceiling with crown molding. Great kitchen with granite counter tops, tile back splash, lighting and appliances and (newer) sliding door to patio. First floor laundry and half bathroom. SECOND FLOOR: Spectacular Master Suite with vaulted trey ceiling, walk-in closet and Master Bathroom. Three additional large bedrooms and a full bathroom with skylight window. The fourth bedroom could be used as an office off the Master Suite or a nursery. LOWER LEVEL features a finished Family Room with plenty of storage in unfinished area. Amazing deck for you to enjoy! Forest Spring offers memberships to the pool/tennis. Close to the clubhouse, pool, shopping, schools, churches, and highways. UPDATES: replaced windows, replaced sliding back door, deck was expanded , lighting interior and exterior, installed hardwood floors in kitchen, entryway and laundry room, added granite countertops, updated 2nd floor bathroom vanity, mirror, flooring, toilet and lighting, updated half bathroom vanity, mirror, lighting and toilet, replaced hot water heater, and appliances. Call to schedule your showing today! SchoolsClick map icons below to view information for schools near 3705 Rock Bay Dr Louisville, KY 40245.